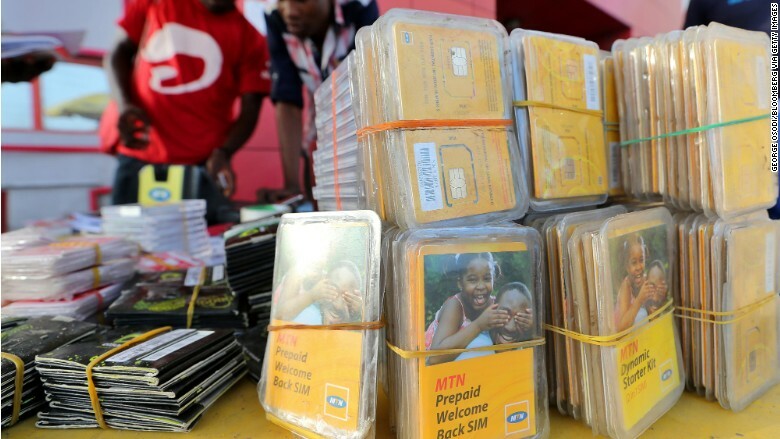 Nigeria has slapped African telecom company MTN with a $5.2 billion fine over unregistered SIM cards. The boss of Africa's biggest telecom company MTN is stepping down just weeks after Nigeria fined the company about $5 billion, which is about half its annual revenue. Nigeria's telecom regulator levied the fine after the South African company failed to disconnect over five million unregistered SIM cards. The regulator said the fine was justified because users of unregistered SIM cards pose a security risk. MTN CEO Sifiso Dabengwa said Monday he was resigning "in the interest of the company and its shareholders." A company spokesperson said his decision to go was not an admission of wrong doing. The company has appointed non-executive chairman Phuthuma Nhleko as interim CEO. He has until Nov. 16 to attempt to renegotiate the fine. Some investors have questioned the scale of the penalty, worth more than 1% of Nigeria's annual economic output, and suggested it may be a disguised money grab by the country. Nigerian government revenues have been savaged by low oil prices. "[The fine] is equivalent to ... almost 17 years worth of revenue from the disconnected subscribers," notes Sasha Neryshkine, a portfolio manager at Vestact. Nigeria is MTN's (MTNOY) largest market with over 62 million subscribers. Its shares dropped by roughly 25% after the fine was announced, but have since recovered a bit. Nigeria has suffered terrorist attacks carried out by the militant Islamic group, Boko Haram, over many years. The widespread use of unregistered SIM cards makes it much harder for security officials to trace criminals. "There are reports that 70% of crimes are done using SIM cards that are unregistered," said Renier de Bruyn, an equity analyst at Sanlam Private Wealth. Regulators and the telecom industry started a campaign in 2011 to register subscribers using biometric information. The big operators collectively registered over 120 million cards by June 2013, and deactivated a further 17 million. But many cards slipped through the cracks. Earlier this year, the regulator told companies that if they didn't comply with SIM card rules they faced "sanctions and fines." MTN operates in 22 countries in Africa and the Middle East and boasts roughly 233 million subscribers. It began operating in Nigeria in 2001.